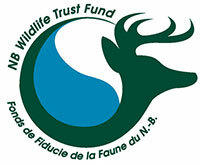 The successful candidate will participate in several biological field studies contributing to the recovery and monitoring of endangered inner Bay of Fundy Atlantic salmon via salmon smolt population assessment, juvenile salmon density surveys, and an RFID antenna telemetry study. Skills & experience will be gained in biological sampling methods including anesthetizing, weighing & measuring juvenile salmon, collecting scale & tissue samples, and applying tags. The successful candidate will learn how to use various sampling equipment including Rotary Screw Traps, counting fences, fyke nets, electrofishers and antenna arrays. The student will be responsible for maintaining detailed records and field notes, and ensuring accuracy of the data. The successful candidate will work in an office setting and in a river environment. Good communication between the student and FFHR Management, as well as with external partners, including the Department of Fisheries and Oceans will be essential.